Home News and Updates Buy HEAT by Rutobuka HERE! We have joined forces with the famous (and lovely) artist Rutobuka and are honored to present to you our first collaboration together. 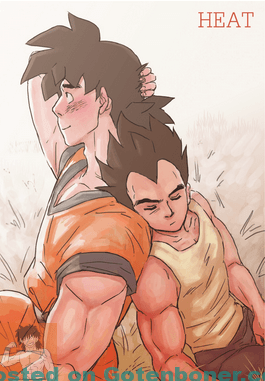 Through our hosting, we are presenting the awesome comic by Rutobuka “HEAT” which is a first class comic featuring Goku and Vegeta. If you haven’t heard of it, you are really missing out! Click here to view our store where HEAT is located. It is a GotenBoner.com EXCLUSIVE! You won’t find it anywhere else!